Neptune Coatings WetSuit® is a cold fluid applied instant set membrane that is 80% cured in the first 3 seconds. With just a 3 man crew you can reach a coverage rate of 1200 sq. m. per 8 hour day. WetSuit can be used as a total building envelope from below grade waterproofing to air and vapor barriers and even roofing. In conjunction with the ASA they have developed a fantastic blindside waterproofing application. Neptune Coatings – Disruptive Waterproofing Solutions: The WetSuit® System: a cold sprayed applied, no VOC’s, water based, high performance product designed to provide long term waterproofing solutions. WetSuit® 2 Part is their flagship product, has a Class A fire rating and is a 2 component Instant Set water-based coating that is 80 % cured in 3 seconds and builds any mil thickness in a single pass. With a trained 3-person crew WetSuit® can reach a coverage rate of about 150 sq.m. per hour. This high rate of production allows projects to continue forward at a faster rate than traditional multi-layer systems. WetSuit® has many successful applications on roofs, below grade waterproofing, plaza decks, podium decks, split slab, pools, ponds, fountains, fire suppression and water tanks, containment structures, retaining walls, elevator pits, garden roof systems as well as other applications. WetSuit® has several certifications including FM4470, Miami-Dade NOA, Florida Building Code, Codemark Australia & New Zealand, CE mark, and several others. WetSuit® 2-Part; It is a cold sprayed fluid-sprayed, seamless, instant set waterproofing membrane, with zero VOC. 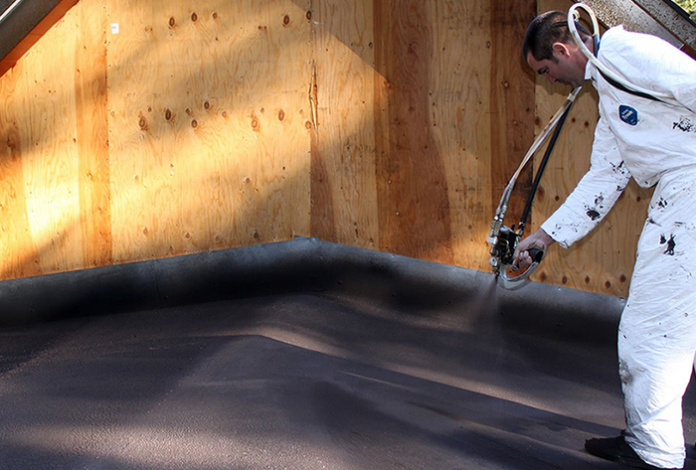 WetSuit® 1-Part; It is a single component spray applied, self-leveling coating. Option to spray, roll or brush apply. WetSuit® UnderCover; A single component self-leveling coating, used in combination with InvisiLink (seam fabric) used in detail work. Harseal 90; Firm’s New, Hybrid silicone-urethane Moisture curing sealant Great for saving time and energy on detail work such detailing 90-degree angles, penetrations, seems and bug holes. WetSuit Trowel & Fiberated Trowel; A high viscosity coating ideal for patching cracks, voids, ducting, flashing and penetrations. Available as well is fiberated Trowel, which cures into a high tensile patch. WetSuit® PrimeMate; A fast cured, water-based primer compatible with a wide variety of substrates. Reflex HPW; It is a white high-performance water-based elastomeric roof coating, high tensile elongation, spray, roll or brush applied, title 24 compliant. 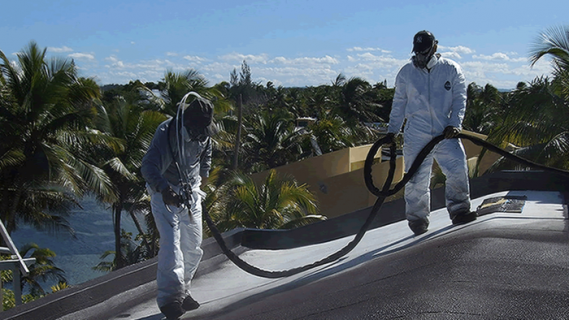 Reflex PW; A high-performance water-based elastomeric roof coating designed to handle pounding water. Harcosil;It is a liquid applied silicone-based, pond-resistant coating. Preforms in challenging climates. Harcoat CIC; It is a seamless spray or roll applied Ceramic Insulation Coating. For me above tips and suggestions are really helpful for the basement waterproofing. definitely, I’ll follow the mentioned ways. Thank you so much for sharing here wit us.